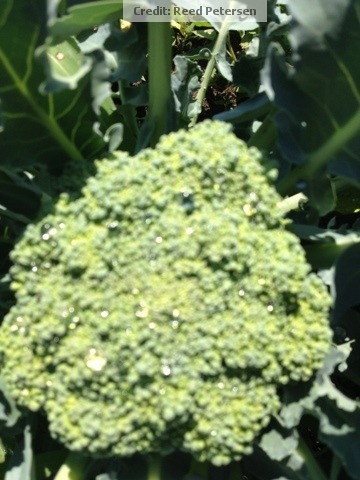 We are days away from harvesting our first delicious heads of broccoli. I don't plant the early varieties because I have had trouble with them buttoning and not getting a head to form. I like the mid season varieties planted after the last cold weather. Who knew when that was going to be this year. These varieties make a nice head every time. We move on to later season varieties from this point on. The later varieties tolerate warm weather but they really shine when summer turns to fall. We have often harvested our last heads of broccoli around Thanksgiving. With ice frozen in the beads of the head. I like the variety Marathon from Johnny's for these late plantings. We are still succession planting broccoli for the next 6 weeks. We will bring transplants to the farmers market if you want to try your hand at fall broccoli. It is some of the best broccoli of the year.